Our Best Selling BBQ Sauce in a 12 oz bottle. 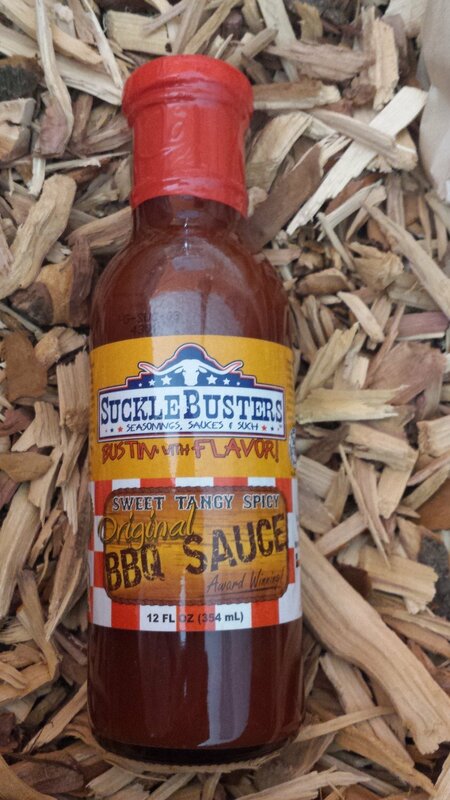 SuckleBusters Original BBQ Sauce wins 8 Major Awards from 2009 - 2013: Chile Pepper Magazine, Fiery Food Challenge, Best of the Best BBQ Sauce Contest, Scovie Awards, National BBQ Associations BBQ Sauce Contest and 2 Years running - 1st Place at the American Royal - World Series of BBQ Sauce Contest. SuckleBusters Original is the winningest BBQ Sauce in Texas! Our all-natural, vinegar based BBQ sauce is Sweet, Tangy & Spicy. It has very slightly smoke flavor plus a little kick of heat and is an excellent all-around BBQ sauce. Great for Grilling! Use it on barbecue beef, briskets, steaks, ribs, chicken, sausage, pork, seafood, turkey or any grilled food to bust out a good barbecue flavor. Baste it on during the last few minutes of grilling to create a sticky-sweet layer of barbecue flavor or pour it on just before serving. It makes a great dipping sauce and kids love it too! Frankly, this is the best BBQ Sauce made in Texas.